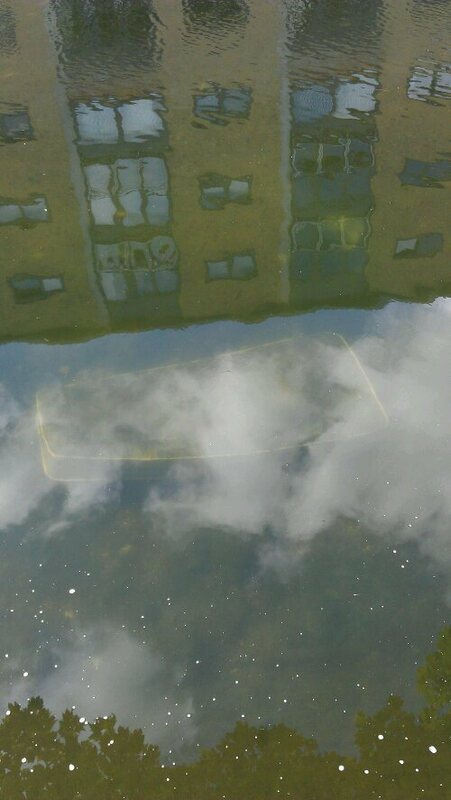 A few months ago I watched a swan brain itself against the Cat and Mutton Bridge near Broadway Market in Hackney. I was walking on the towpath; it was flying along above the water, following the curve of the canal from Limehouse Basin westwards. Swans navigate by waterway, following the dark ribbons of rivers and streams over land. They’re too big, too ungainly, to land on anything but water, and are sometimes found with broken legs on motorways, having mistaken the silvery sheen of tarmac for the surface of a river. My swan sharked implacably and inevitably into the bridge, never noticing it was there. The contrast between the grace of its flight and the heavy inevitability of its fall was brutal. A sudden blow, a heavy, almost metallic crack, a great thrashing on the water, and then the great wings beat themselves still. Its neck, so long and straight in flight, bore a grotesque protrusion like a canker on an oak tree. It drifted under the bushes on the opposite bank and was still. 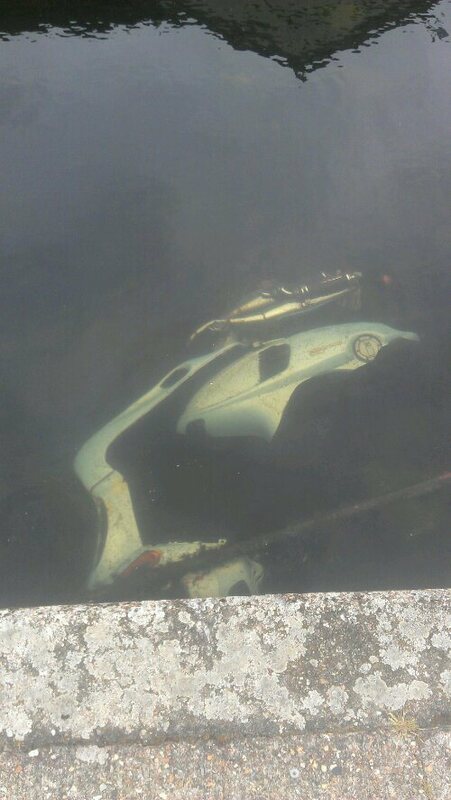 I considered wading across the canal to collect the body, to eat it, or to preserve its wings: to memorialise it in some way. But by then the canal boat people had emerged and the occupants of the newly redeveloped flats overlooking the canal had poked their heads from windows. Concerned joggers had called the RSPB hotlines to ask what one should do with a dead swan. The canal, along which I have walked several thousand times, has always been associated with death. During its construction in the early 19th century a stream of Irish navvies were worked to death in the London clay. Deaths were so common that the ponies used to shift the earth in tip-wagons learnt to unhitch themselves when their drivers fell under the wheels of the carts. After they’d built the canals, many of the navvies were sent underground, tasked to dig Bazalgette’s miles of sewers under London. I once travelled through their greatest unacknowledged work: the mile-long tunnel that cuts from Angel to King’s Cross under the Pentonville ridge. Water dripped in the darkness, leaving its mineral deposits as stalactites hanging from the ornate brick roof. Blue and yellow streaks – picked out by the boat’s navigation light – lined the walls, caused by rainwater filtered by the mass of Angel clay above. In 1874 a gunpowder barge exploded further west, at Macclesfield Bridge (now ‘Blow-up Bridge’) near London Zoo, killing all onboard. No one knows quite how it happened, but it completely destroyed the bridge, blocking the canal with the rubble. Unflowing, the canal was dead water, and attracted the dead. Between 1896 and 1897, 31 bodies were found dumped in one short stretch of water. Later, Lucian Freud would stalk the towpath, shooting rats with his Luger to feed to his pet sparrowhawks. When I was a boy, the canal itself looked dead. I used to head to the towpath to go fishing most Saturdays. Under the rainbow bridge at Southgate Road, a gas pipe covered in cracking coloured paint, a group of old men held their weekly fishing competition. Entry was 50p: winner took all. My fellow fishermen were, I realise now, profoundly lonely. Widowers or sad drunks, they came to the canal to engage in that most solitary of activities – fishing – in search of company. 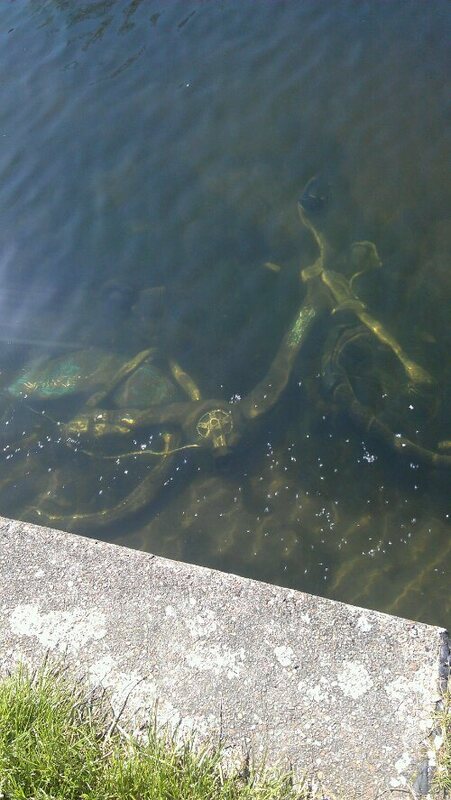 They clasped their paper-bagged cans and sat staring at the murky water, resolutely refusing to speak to one another. I’m not quite sure why they tolerated me. One of them told me that as a boy he used to climb the rainbow bridge, lying on top of it to try and catch glimpses of his heroines: actresses working in the Gainsborough Pictures studios across the water (now luxury flats, with a courtyard dominated by an enormous copper bust of Alfred Hitchcock). The winner of the competitions would be the man who caught the most fish. It was a numbers game. We mainly caught small, aggressive perch, their black stripes tigering the green. If we fished in the evening then the eels, temporary visitors from the Sargasso Sea who had lost their way to become trapped in the land-locked canal, would disinter themselves from their lairs under the bridges and come foraging. The canal was murky back then, I remember, and apart from the tell-tale movements of float or rod-tip, you never quite knew what you had caught before you landed it. The canal was fathomless; illegible. You had to learn to read your float instead. Perch took with a few brief nibbles followed by a confident, downward tug. Roach and rudd took with a delicate inevitability. Eels were trickier; harder to read. The float would jostle the water a few times, lie flat, and then – slow and sure – be pulled underwater. Strike too early and you’d feel nothing: a whisper of lips caressing the hook; a swirl in the depths. The eels tested the patience of even the oldest of the old men, and after you caught one you never really wanted to catch another. They’d wind up your line and tie themselves in knots, emitting their ruinous slime over tackle, clothes and hands. I wonder, now, if any of these fish ever found their way back to their spawning grounds in the Sargasso Sea. They might have done it. The European eel is a tenacious beast. They’re known to slither out of millponds on dark, dewy nights, travelling over fields towards the waters within which they can smell the sea. If they followed the canal down to Limehouse, waiting patiently at the locks and going through with the narrow boats, they could wait for the Thames lock to open, and from there the sea would call to them. I never won the fishing competition, but I did once, fishing in Kingsland Basin with a friend, catch a pike so large it snapped the wire leader we were using. We were both glad when it swam off back into the weeds. I have not fished in the canal for many years now, but I walk down the towpath most days, touching the points under the bridges where the tug-ropes from the old barges have worn away the iron. It has been cleared up, and the water is often gin-clear. Boats have moved in, lining the towpath by Victoria Park. They were exiled from the Olympic Park during the games, and are now half-heartedly moved on every two weeks by bored bailiffs. Spick and span signs; Olympic watering fountains; towpath cafes! An idyll marred only by the plastic bags full of dogshit hanging like bizarre fruit from the blackthorn bushes. The canal has been polished into a vision of life. The water’s been cleaned; the weeds cut. Blocks of shiny flats have sprung up along its length like coral reefs, blocking out the sun. At Kingsland Basin, where I caught the pike, developers have erected a formidable metal fence to keep the fishermen out. 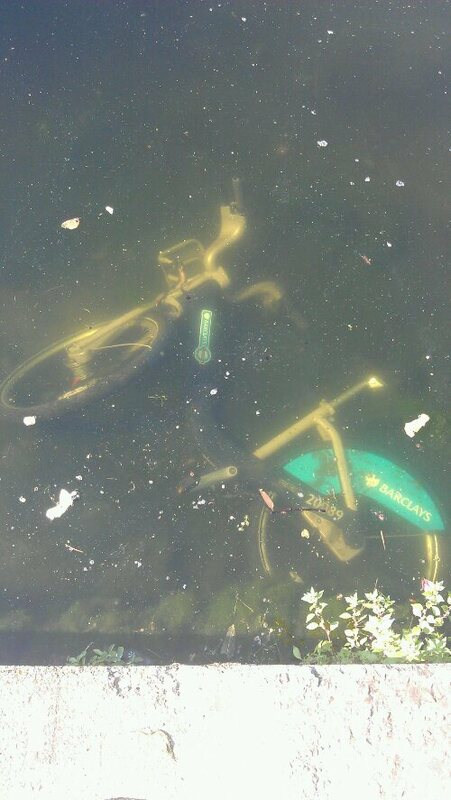 But the clean-up has had unintended consequences, exposing the silty bottom of the canal, and a graveyard of urban detritus is now visible, glinting through the green haze of weeds. 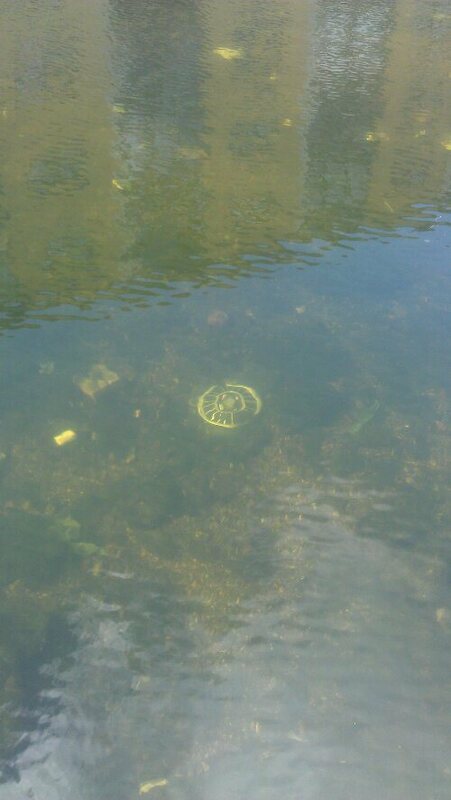 I’ve taken to photographing the drowned objects of the canal, the dead things beneath its surface that offer a rebuke to the visions of the planners: broken objects; stolen mopeds; discarded street furniture thrown from bridges by drunks; Boris bikes, joyridden to death. The spread of more quotidian rubbish: crisp packets and plastic bags; bottles and beer cans; ‘Pedestrian Crossing’ signs and traffic cones. The canal is a graveyard of the city’s stuff, and it patiently preserves and curates the objects thrown into it. It was said, yes, that the weapons went into the water here, after the murder of Jack McVitie … When they sent the diver down to search the canal, he found two pieces they thought resembled a gun and a knife. It was never proved. It’s like an armoury down there, in the mud, goes back generations. 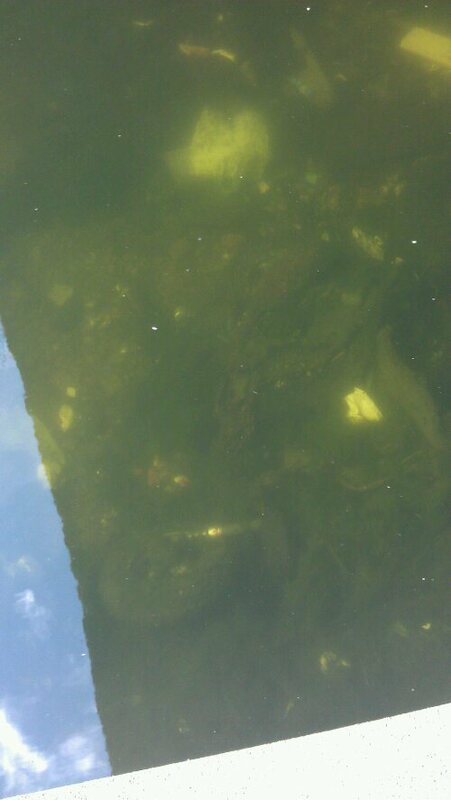 The canal colludes, dissolving the evidence, erasing memories even as it entombs them in its mud and heavy-metal water. And still the bodies occasionally float up. A few years ago there were mutterings of witchcraft: little boys, horribly mutilated, thrown into the water at the end of some unspeakable ritual. A week after I watched the swan die, three hipsters in an inflatable boat paddled down the canal in the late summer sun, disturbing the severed head of a murdered actress as they did so. Her body had been found several months before, hacked to pieces and stuffed into two wheeled suitcases. For weeks I’d watched the Marine Policing Unit suiting up for their grim search in a van on Kingsland Road. They’d block off the towpath, but, from the top deck of a bus you could see the frogmen glide silently over the canal bed, searching for the final piece of her.